Air Force Academy officials are investigating racial slurs that were found written on the message boards of five African-American cadet candidates on an academy campus. 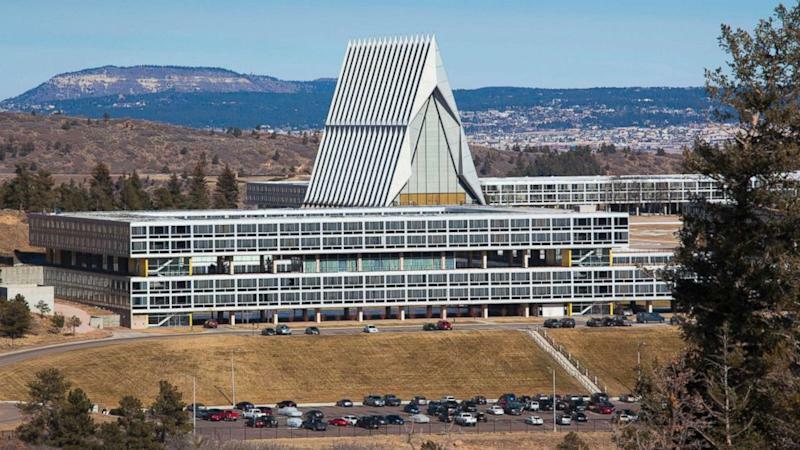 Air Force Academy officials are investigating the incident which is believed to have occurred on the Air Force Preparatory campus sometime Monday, Lt. Col. Heritage, the academy's director of public affairs, confirmed to ABC News. News of the incident was first reported by Air Force Times. A mother of one of victims took to Facebook on Thursday to post a photo and comment on the slurs. “This is why I'm so hurt!” she wrote, according to Air Force Times. The post was originally public, but later taken offline. “These young people are supposed to bond and protect each other and the country. Who would my son have to watch out for?” the mother wrote. Lt. Gen. Jay Silveria, superintendent of the U.S. Air Force Academy, denounced the slurs during a speech to cadets on Thursday, saying “There is absolutely no place in our Air Force for racism. It’s not who we are, nor will we tolerate it in any shape or fashion. The Air Force strives to create a climate of dignity and respect for all ... period." Lt. Gen. Silveria concluded his statement by assuring that those responsible for the incident will face consequences. The Air Force Academy Preparatory School is located in close proximity to the United States Air Forces Academy in Colorado Springs, Colorado, and enlists approximately 240 candidates every year.